According to Taiwanese supply chain insiders, Apple is increasing the production of the rumored 10.5-inch iPad Pro. This means that the release of the tablet within next couple of months is possible. As noted by DigiTimes, currently, the production is at 500,000 units per month. In July, the number may rise to 600,000 units and by the end of this year will reach 5 million units. This means that the table may eventually be announced at the WWDC conference in June. 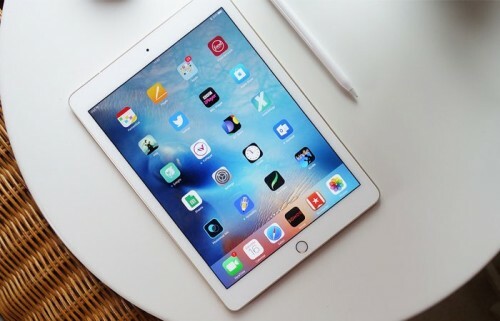 DigiTimes reporters also believe that the demand for the 9.7-inch iPad will increase in the third quarter of 2017 and that Apple will update the 12.9-inch iPad Pro sometime this year. At WWDC, Apple is expected to unveil new iOS, macOS, watchOS, and tvOS versions as well as a new iPad model. Apart from that, we may see the Siri-based smart speaker. Stay tuned for more updates on the upcoming products.